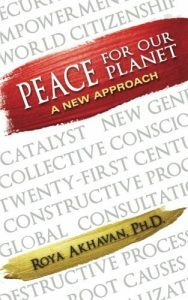 Peace for Our Planet tells the story of a new historical dialectic in the world between two parallel processes: one of construction and the other of destruction. It traces the growth in the constructive global consciousness that began in the nineteenth century and the progress humanity has since made toward the achievement of a more just and peaceful world. Under the spotlight of this constructive collective consciousness, the outworn and destructive mindsets that have constituted the root causes of war for millennia, including racism, nationalism, religious strife, gender inequality and extremes of wealth and poverty, have now been exposed and delegitimized. Those who have benefited from these divisive attitudes are currently taking a last stand. Yet, they are fighting a losing battle. Amidst the blinding haze generated by the accelerated collapse of outworn mindsets and institutions, Peace for Our Planet seeks to bring into focus the forward march of the constructive process toward peace, and the powerful role each of us can play in its realization. 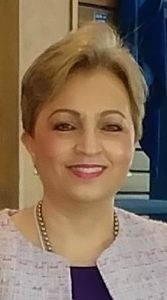 Dr. Roya Akhavan currently serves as Professor and Director of Graduate Studies at the Department of Mass Communications, St. Cloud State University. In addition to research and publication in the field of international mass communication, Dr. Akhavan has maintained a research interest in peace studies. She is a frequent speaker at national and international forums on gender issues, the root causes of war, and spirituality in the 21st century. Her most recent work is a book entitled Peace for Our Planet: A New Approach (Calumet Editions: 2017). Dr. Akhavan has lived and worked in four different cultures: Persian, American, Japanese, and Chinese. She currently lives in Maple Grove, Minnesota.